A delegation of law enforcement executives from the United States is participating in a counter-terrorism training program in Israel. A delegation of law enforcement executives from the United States is participating this week in a counter-terrorism training program in Israel sponsored by the Anti-Defamation League. The 15 participants from Connecticut, Maine, New York, New Jersey, Massachusetts and Pennsylvania are meeting with commanders from the Israel National Police, security experts and intelligence analysts to learn how the nation prevents and responds to terror attacks. The group is attending high-level briefings on the operational response to terrorism, border and airport security, maintaining safety and access to holy sites, the role of advanced technology in policing, and the effective use of the media during a crisis. “This is an opportunity for law enforcement from the United States to strengthen professional relationships and have access to the latest strategies and techniques in combating terror threats,” he added. 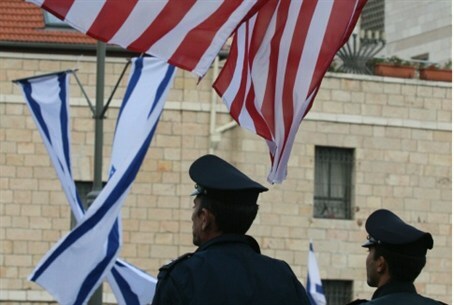 The program, now in its fourth year, is designed to help American law enforcement gain a firsthand understanding of the psychological impact of terrorism on civil society and allow them to interact directly with their Israeli police peers. The week-long seminar also includes opportunities to tour some of Israel’s most significant archaeological and religious sites, and to learn about Israeli society. The mission consists of law enforcement professionals from local, state and national agencies including the New York State Police, New York Police Department, New Jersey State Police, Massachusetts State Police, Boston Police Department, Maine State Police, Hartford Police Department, Suffolk County Police Department, Salem Police Department, Quincy Police Department, Pittsfield Police Department, Lower Merion Police Department, and Westchester Intelligence Center General Hospital. A senior officer from the Italian National Police’s Counter Terrorism unit is also participating in the mission.